Alberta, Canada OCTOBER 19, 2018 -- When Argentine and Mapendo arrived at Edmonton International Airport, in Alberta, Canada, less than 1 year ago, they looked exhausted and bewildered. They didn’t speak English or French, and because of their physical disabilities and the effects of poverty, they lacked even an elementary school education. 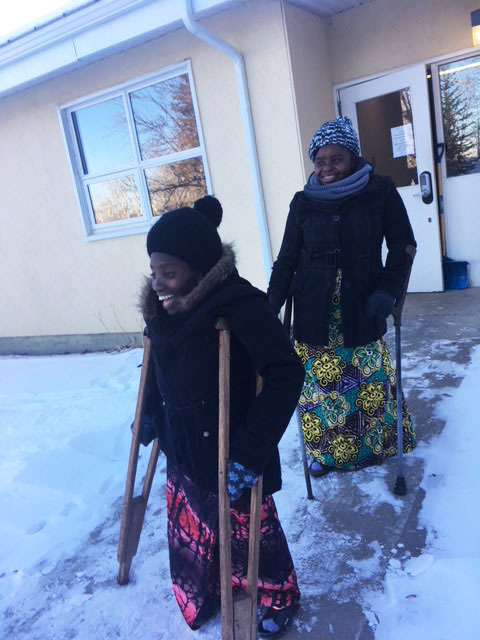 Now, less than one year later, with the help of Canada’s unique private refugee sponsorship model and a large community of support, they are beating the odds. They have incorporated their own business, launched an online store, and are harnessing the power of the internet to share their journey. 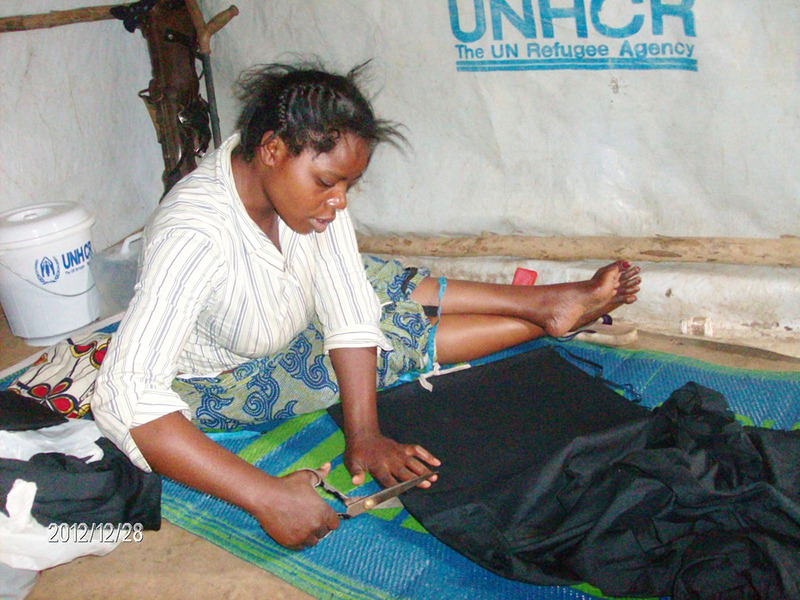 In Congo, both Mapendo and Argentine survived by sewing. Now, in Canada, they continue to sew. They have traded in their hand-crank sewing machines for electric machines provided by the refugee sponsorship group that supports them. 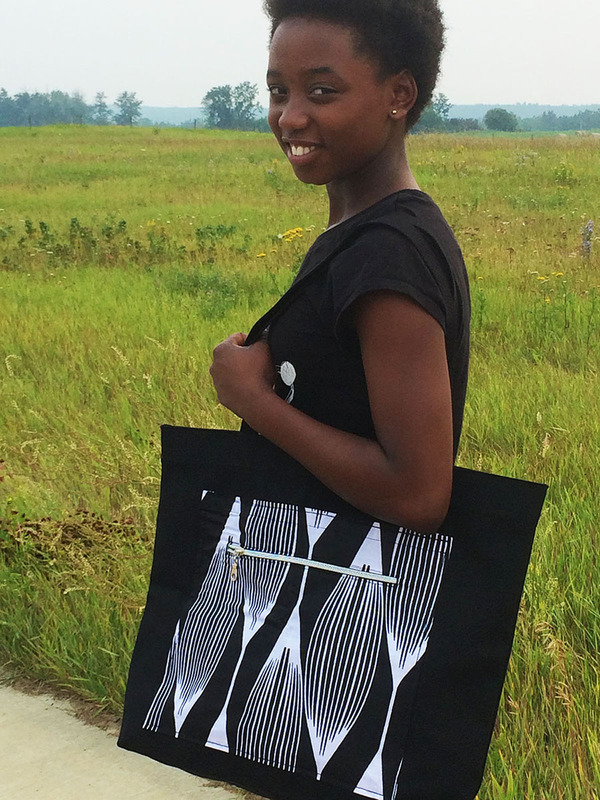 With the input of local customers they have developed a line of reversible tote bags that contrasts black canvas cloth with vibrant African prints. 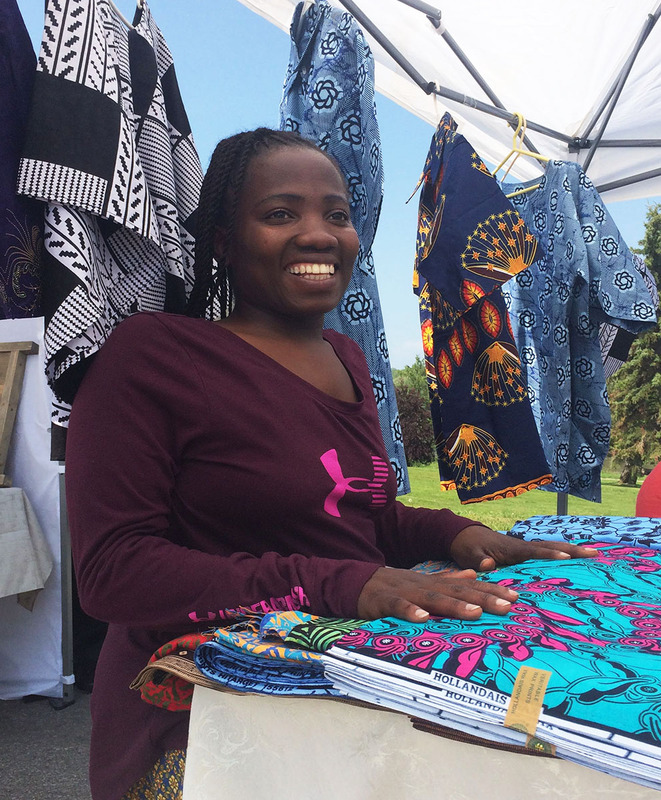 Along with a longtime friend and partner, they incorporated their business in Canada in August and launched online sales in Canada. Their website, www.shonacongo.com, features a photo blog, links to live videos, and of course an online shop selling their unforgettable bags. “We need to get the word out in Canada. This is a success story, and we are all a part of it,” Dawn says.